On the 4th (Fri), head outdoors with Pallas-Yllastunturi National Park. 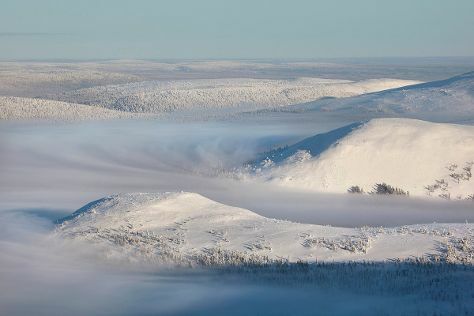 Get ready for a full day of sightseeing on the 5th (Sat): identify plant and animal life at Santa"s Cottage & Pet Farm, don't miss a visit to Ounasjoki - River for activities, and then tour the pleasant surroundings at Yllas Ski Resort. To find reviews, traveler tips, and tourist information, you can read our Akaslompolo holiday planner. Naples, Italy to Akaslompolo is an approximately 12-hour flight. You can also drive. The time zone changes from Central European Time to Eastern European Time, which is usually a 1 hour difference. Plan for much colder temperatures traveling from Naples in October, with highs in Akaslompolo at 3°C and lows at -3°C. 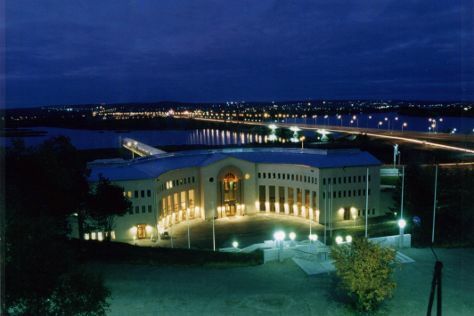 Wrap up your sightseeing on the 5th (Sat) to allow time to drive to Rovaniemi. On the 6th (Sun), identify plant and animal life at Wildlife Areas, explore the fascinating underground world of Syvasenvaara Fell, and then get engrossed in the history at Arktikum. Keep things going the next day: look for gifts at Your Piece Of Finland, then see Santa Claus Office, and then find something for the whole family at Santa Claus Village. For where to stay, photos, reviews, and tourist information, you can read our Rovaniemi road trip planning website . Traveling by car from Akaslompolo to Rovaniemi takes 2.5 hours. Alternatively, you can take a bus. In October, daytime highs in Rovaniemi are 3°C, while nighttime lows are -1°C. Wrap up your sightseeing by early afternoon on the 7th (Mon) to allow enough time to travel back home.